If you remember Level-5's excellent Fantasy Life, originally released on Nintendo 3DS, you remember it as an absolutely fantastic and quirky role-playing game that flipped the script on traditional RPGs. It offered several ways for players to enjoy a medieval-styled life while living in roles like tailors, knights and other interesting areas of study. If you didn't like what you chose, you could always start again as a new character role! 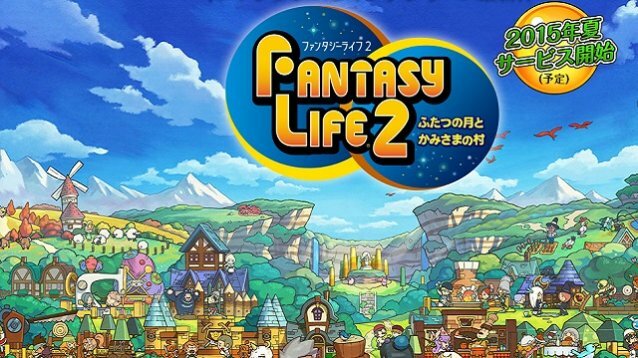 Unfortunately, it looks like Fantasy Life 2 probably won't be coming westward, at least not for a very long time if it ever does. It's not even available for 3DS, instead in beta right now in Japan as of July 27. But there is a trailer you can feast your eyes upon if you're masochistic like we apparently are. Level-5 could still turn things around and announce a Western release for the iOS smartphone release and make everyone happy again, but until then...enjoy the trailer and think about what could be. With the renaissance of mobile gaming for companies like Square Enix, you'd think it would be a thing. And maybe it will be in the future. For now, trailer. Below. Right now.